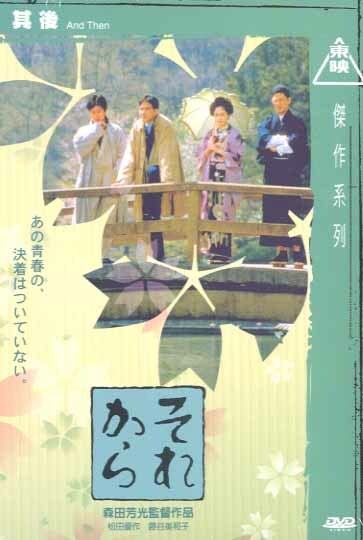 Spring in 1909, Daisuke, out of his friendship, played matchmaker between his friend Hiraoka and his love Michiyo-but it was against his nature. After three years, Daisuke decides to demonstrate his love for Michiyo. It does suit his nature but against the social norm: that is, if the two pursue their love, they have to be purged from the society.